Honor6X needs no introduction at all. 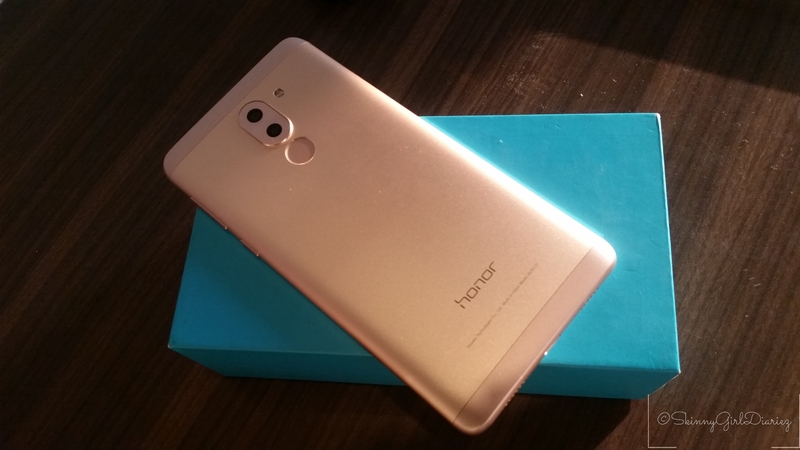 I have been using the Honor6X for a while now, and finally decided to pen down my thoughts and share my review. It is manufactured by Huawei Technologies Co. Ltd – a Chinese multinational networking and telecommunications equipment and services company. The bold and the beautiful as I call it, it has 1,920 x 1,080-resolution with a 5.5-inch display. It is light weight. Is about 8mm in depth, a tad bit big to hold at times. I have almost dropped this phone pulling it out of my purse or trying to get a good angle shot. It comes in gold, grey and silver. I quite like the golden hue, gives it a bit of style and smart to look at. One would have loved to have this Android to have Nougat built into it, but it still operating with Marshmallow . The only drawback for me it comes built in with its own apps and a couple like swift keyboard and a beauty app. With the new upgrade, I had it switched to Google keyboard, as I am so accustomed to it. The key feature here Huawei’s Honor6X has beautiful themed folders, that tuck away the apps and make it easy to locate. It is fast with 655 octa core processor, 1.7GHz Kirin chipset, which runs up to 2.1GHz. Been two months, and so far I have not found it sluggish or lagging at all. Got to love the WiFi bridge – this enables you to use your phone as a Wifi extender to boost the wife range if needed! 4GB RAM, 32GB internal memory, expandable up to 128GB if you wish to save your precious images. I always backup every images I take, better to be safe than sorry. Still this is a great phone for just saving a ton of memories. Yet it is as spacious as the rest, this I have tested via shooting videos and images from one night out of town. It comes with a dual Sim slot. This is the icing on the cake, true to its word – Honor6X is a phone that lasts with its 3,340mAh battery. I use it for clicking images, and recording videos. Surf the social media sites for hours, upload images and edit videos whilst being online. The battery life is great, I charge it once every 3 days. This is the beauty of it all, the dual-lens rear facing camera. I rely on photos being a lifestyle blogger, and this is a blessing in disguise for its price. 12Mp primary sensor along with a 2Mp secondary sensor enable to to get the best resolution with every click. Its 2MP sensor is an add on for use on shooting on wide aperture mode, and allows for depth sensing. I use this phone currently to click images, it helps me do away with carrying my bulky DSLR at times. Shooting outdoors is brilliant during the day, for me I have always hoped to get great clarity for indoor night shoots. Honor6X could have done better with this feature, as I project the images onto a larger screen, there is noise on the images. Stabilization feature would have been an added feature. The videos are in full HD quality, but the audio is jarring most of the time and I have to work on the audio post processing before sharing any of it. I have to admit, I have never been a fan of Selfies. But every so often, to show my followers what make-up I tried or accessories I put on or to show off the outfit of the night! I have clicked a couple, as vain as I can be. This 8Mp front-facing camera is a gold mine. Images that resurrect out of it I have to give it a big thumbs up and say its flawless.